You may have heard about timeshares, but if you are like most then you probably do not know exactly how they work. Timeshares can be an affordable way to plan a vacation each year, as long as you understand the rights and assurances you are entitled to receive for your participation in a specific property. Timeshare ownership offers people the opportunity to own a piece of a resort property without taking on the full financial burden that comes with keeping that development. Unfortunately, the industry has gotten a bad rap due to unscrupulous sales tactics on the part of brokers and developers who try to pressure potential buyers into a sale through deceptive promises and misleading sales presentations. That’s why it’s so important to educate yourself about the industry and how timeshare ownership works before signing a contract – or disregarding the idea altogether. Forewarned is forearmed and that’s what this guide is all about – giving you the information you need for navigating a purchase successfully. If you’re considering a timeshare but aren’t quite sure about how to do it or whether it’s even worth your time and money, then read through our complete guide. It will explain all of the basics and and then some, including what to watch out for when you’re presented with those timeshare promotions that often sound way too good to be true. Spoiler alert: they are. So before you invest your hard-earned money into any property, be sure you know what you’re getting into first and how to get out if and when you decide you would like to sell your stake. The majority of timeshare owners are often very happy with their purchase and some of them decide to invest in more than one after their experiences with the first are nothing but positive and fulfilling. With the growing popularity of these types of ownership arrangements, major companies like Disney and Hilton have gotten into the game by offering luxury properties and programs at vacation destinations that are highly sought after yet still affordable on almost any budget. First off, let’s explain what a timeshare is and what you get as part of your ownership in one. A timeshare, sometimes also referred to as a “fractional” or “vacation” ownership, is an arrangement made between a group of investors and the developer of a property in which they all pay to own a share in the ownership and use of that property for certain periods of time. The property is often a condominium or unit at a large resort but timeshares have also been applied to homes and cabins in areas that are popular destinations for vacations. When you purchase a stake in a timeshare, that ownership gives you the right to use a certain unit at predetermined intervals of time during the calendar year. How your time period is calculated can vary, but once you purchase a share you are guaranteed usage of that property or a similar unit of equal value, depending upon the parameters of the program. Many timeshares come with additional amenities in a resort setting that you would also have access to, including any pools, jacuzzis, recreation centers, gyms, restaurants, or nightclubs. In the case of the Disney Vacation Club, membership also brings with it certain discounts and perks to the amusement parks and other related programs that are exclusive to members in the timeshare program. Basically, owning a timeshare ensures you have at least one week of the year where you can go to take a vacation at a specific property and it alleviates the burden of having to pay full price to own that unit. Defraying the cost with other parties allows everyone to enjoy it equally for less money annually. There are three types of programs that each timeshare ownership opportunity abides with and every one of them can have a direct impact on how much you will pay, the length of time in which you’ll have the privilege of using the property, and additional rights and guarantees associated with the property or particular unit within a resort property. Most timeshare ownership agreements are either a “right to use” or “deeded” program. The first one gives the buyer the right to use the property for a specific amount of time (typically for one to two weeks out of the year) over the term of a number of years. During the course of your ownership term you may rent the property for your one or two weeks of each year, you can give away or sell the ownership to another party, or use the property as your contract stipulates. In each case, your rights to do any of these things stops once the term of the contract ends. So if you sell your stake to someone else, they can only enjoy the rights and benefits of the ownership up until the same end date. Just because someone else now owns the share doesn’t mean the term resets or changes. They are simply bound to the same expiration date that you were before you turned over ownership to another person for whatever reason. The second, deeded ownership, basically means you are purchasing that property for a limited time of the year. You will receive a deed of ownership that is valid only for that certain time period of the annual cycle. For instance, if you are buying a deeded timeshare of Unit 336 in a resort property for the 36th week of the year, that deed would be issued just like a deed on any other property. Some deeded agreements aren’t as specific about when you can use the property, so you would be issued a deed that gives you 1/52nd ownership in that unit or property. In either case, the deed is registered with a county office or other applicable governmental body that shows you as the owner of that property in that capacity. In both cases, the buyer of the timeshare is responsible not just for the agreed upon purchase price but also for all applicable maintenance and/or assessment or repair fees during the term of ownership in that unit or property. For deeded arrangements, there may be property taxes that need to be paid as well. There is a third program that some timeshare situations offer in the form of points systems that are usually associated with vacation clubs and memberships. One such situation is the Disney Vacation Club which allows members to use the points they earn with their membership to book vacations and other trips at any one of the many different properties that are owned and managed by Disney. This method gives timeshare owners more choices and flexibility in where they can stay during their vacation. Points systems mean you don’t necessarily stay in the exact unit in which you’ve purchased ownership. Rather, you have the rights and freedoms to stay in any available property, as well as take advantage of other perks for travel and accommodations that are governed by the membership program. Each of the programs listed above offers different methods by which the week you are able to use the timeshare property is decided. There are three variations on the ways your week is assigned to you: fixed, rotating, and flex arrangements. These are usually found with timeshare purchases where direct ownership of the property is assigned for the term of a contract. 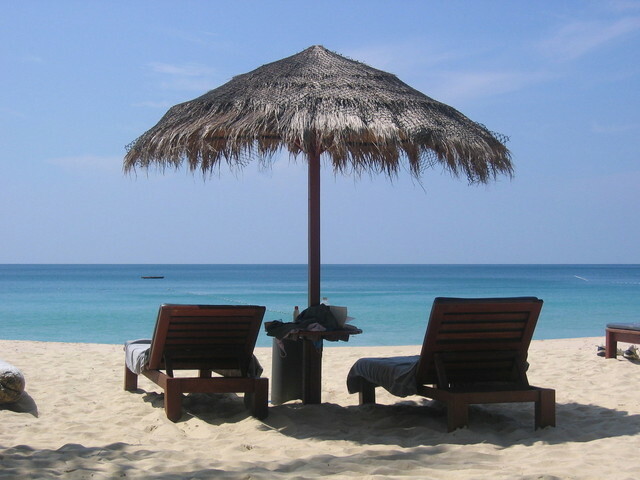 A fourth variation, the points system, is used exclusively with vacation clubs and memberships. A fixed week arrangement is just how it sounds; you have the right to use the unit or property for your specific week. So if you bought a stake in a cabin for the 18th week of the year, then you have the sole claim on that cabin for that particular week annually. No one else has the right to use it but you. Fixed week arrangements are great if you know you’re going to want to use the unit or property at that exact time every year. But if you’re looking to resell your stake down the line for any reason, you might have difficulty trying to do so with such a stringent restriction on when it can be used by your potential buyer. A rotating week arrangement offers buyers the opportunity to visit the unit or property at different times each year as their assigned week rotates annually. For example, over a four year contract, your week could fall somewhere in between January and March for the first year, April to June in the second, and so on until the fifth year where it would start from the beginning of the year once again. The rotating week arrangement can be ideal for people who plan on owning the unit or property for an extended period of time because it ensures that they will get to enjoy it during each season. A flex week arrangement offers the most flexibility for when you get to use the unit or property in that you have a preset “flex period” of time in which to use your week. But you’re not the only one assigned to that certain time period either, so you have to make sure you reserve the unit or property for the actual week you want to use it within your flex period. This is the most ideal arrangement for resale purposes as it offers the buyer more options on when he or she can use the timeshare. The points system arrangement comes with a club membership where outright ownership is not implied nor given, but instead, buyers are given a certain number of points that can be redeemed for use in booking a vacation through that club. This offers the most flexibility because you have options as to where you can stay and when. You’re not held back by assigned weeks or other restrictions. However, you may need to book months, even years, in advance to get the property you really want at the time of year that’s the most preferable to you. In addition, each property or vacation might cost more points than another, requiring a higher redemption value for the destinations that are most popular and during seasons that have the most demand. It’s also important to know that points can expire at the end of a calendar year, so if you don’t book something in that time, you’ve wasted that currency. Some clubs let you borrow against a future year as well. So you’ll need to be cognizant of the best way to manage your points year in, year out. So you’ve read through all of the arrangements and restrictions and you’re thinking to yourself that you didn’t realize how restrictive timeshare use can be for owners. You don’t know if a fixed or rotating week is going to work out for your needs and a flex arrangement might not always be available in every timeshare program. Well, don’t worry, there are plenty of current timeshare owners who realize their week is coming up and they aren’t in a position to use the unit or property. For these folks, exchanging weeks is an option. Exchanges can be made between two timeshare owners who want to swap weeks with one another for a more convenient time to use the property or between owners who want to use each other’s property in a different location. It doesn’t even have to be an exchange of weeks on the same property. There are a number of ways to go about doing this as well; you can transact an exchange directly with another timeshare owner, you can conduct it through a resort group where a number of different properties are available, or do it through an exchange company where other owners have also turned to find the perfect exchange opportunity. Direct exchanges can be done in person between both parties, there is no third party or middleman necessary, and each of the parties can agree to swap the use of their properties on their given weeks. It can be a bit time consuming to search for people with whom you can make an exchange but there are some websites out there that offer assistance in finding exchange partners to make it a bit easier. Once an agreement has been reached between the parties, they just have to contact their respective resort or timeshare program to let them know someone else will be using the unit or property in their absence. Exchange programs are also available within a resort group. When a company like Marriott or Hilton owns a list of properties, they will often set up an exchange program where various owners can exchange weeks with one another among the company’s locations. This certainly makes it easier to find someone to take over your unit or property and vice versa during a time when it’s most convenient for you to plan a vacation. Some companies charge a fee for this service while others offer it for free. Timeshare exchange companies help take the work out of finding someone to exchange your week with by keeping an updated list of other people who are looking to enter into such a transaction. These agencies keep an inventory of owners on hand so once you decide you want to exchange your week with another owner you simply contact the company and submit all of the information pertinent to your property. The company will then present to you a series of options that are comparable to the unit or property that you are looking to trade. Once you receive those, pick one and you’re all set. Rarely will you ever exchange your week directly with the individual whose week you are taking over. The exchange companies basically let you pick from a pool of owners who have already traded their property for another instead. Of course, you’ll also be required to pay a fee to take advantage of this service. 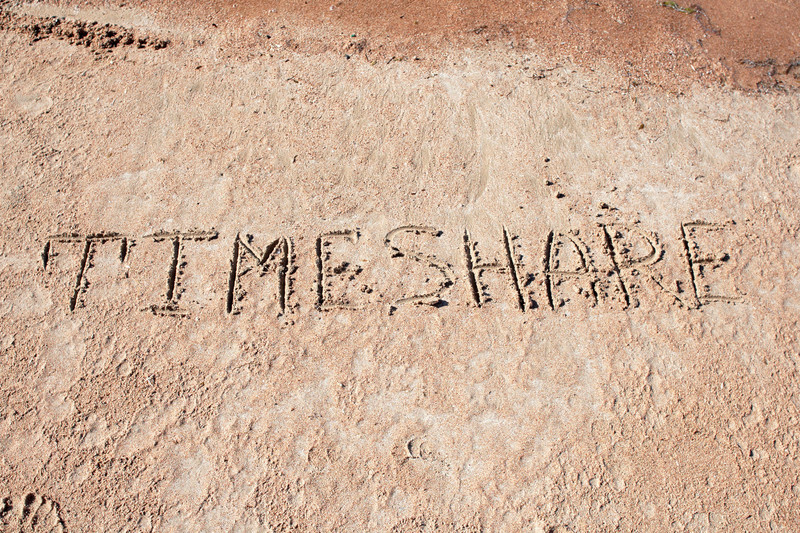 The value of your timeshare can allow you to swap it out with another comparable situation owned by someone else. 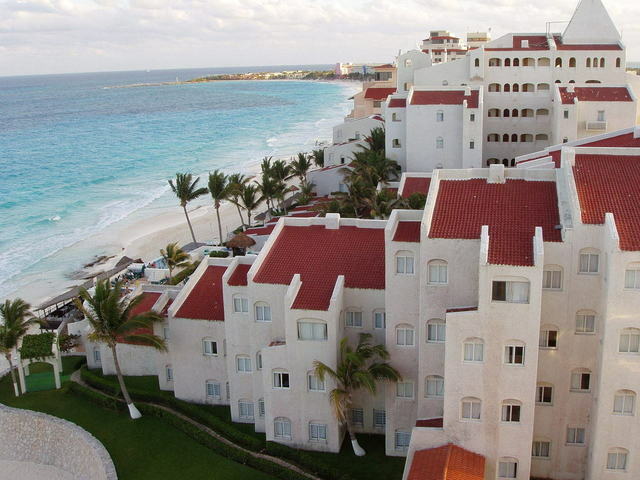 Most timeshare owners will purchase their unit or property and enjoy it for a few years. Then, over time, they may find they use it less and less each year and eventually it becomes something they no longer want to hold on to anymore. In that case, it may be time to sell. Much in the same way as exchanging or trading your timeshare week for someone else’s, resale comes with certain advantages and drawbacks. Selling your timeshare shouldn’t necessarily be born from an urge to make a substantial profit but rather it should usually be done in order to save a little money. That doesn’t mean you can’t or won’t make a little extra cash on a sale. 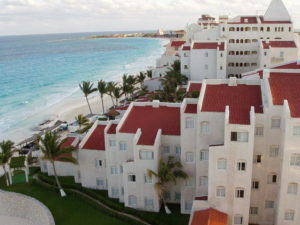 Unfortunately, some owners realize that after a number of years have passed, the value of their timeshare has decreased. This can be as a result of poor and neglected maintenance, a property has grown old and outdated, or the area in which the resort and the unit currently reside has fallen victim to overbuilding, which can lower the values on all properties in the vicinity. You’ll see this sort of thing happening most in places like Las Vegas, Orlando, and Whistler, all popular destinations that are seeing more and more development every day. Location is a major factor in all real estate transactions and it’s no different with a timeshare. If your property is on the beach, situated in a busy and bustling part of town, or if it’s near another major attraction like an amusement park, you’ll probably have a much easier time trying to sell it. The resort property where the unit is located can play a major role on how successful you can be at selling it outright as well. There are other factors that are included in the assessment, everything from the type of week arrangement that your unit is bound by to the resort rating where the unit is located. If the place you own is on a resort property that is run-down and poorly kept, it’s simply not going to sell. You can expect resale prices to run, on average, about 50% of the original purchase price, but that is a seriously vague ballpark number. There is no reliable historic data cataloged for resale prices on timeshares, so you can adequately set a price based solely on what’s been bought and sold before. A purchase price on a resale from one buyer to another is established based on what one individual wants to pay for that unit or property. There may be some brokers who have an advanced knowledge of sales that have taken place at a certain resort in the past, but that’s about as close as you’re going to get on trying to set your price relative to past sales. In some cases, when a unit just won’t sell or a seller can’t find a potential buyer for the property, the only other recourse, besides holding onto the unit and using it once a year on your assigned week, is to simply give it away. Bequeath it to another and once the paperwork is signed and notarized, the unit or property is no longer yours and you are free and clear of any responsibilities associated with it. You may also inquire with the resort and see if they are interested in buying or taking over the unit. 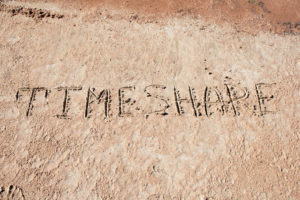 Timeshare ownership is not a get-rich quick scheme nor is it an investment opportunity for people who think they are going to get any value out of the share appreciating. In fact, it’s just the opposite and timeshares are really designed for people who want an affordable vacation getaway available to them once a year at a resort they know they already love and enjoy. Timeshares can be an expensive proposition so weighing the costs of annual ownership versus the prices you’ll pay for a vacation when you’re ready to take one can help you decide if purchasing a stake in a unit is really the right move for your financial situation.